Hi Paula,I recently purchased from “Shop Goodwill” what may be a Zuni bird fetish necklace, but I am wondering if it is authentic. 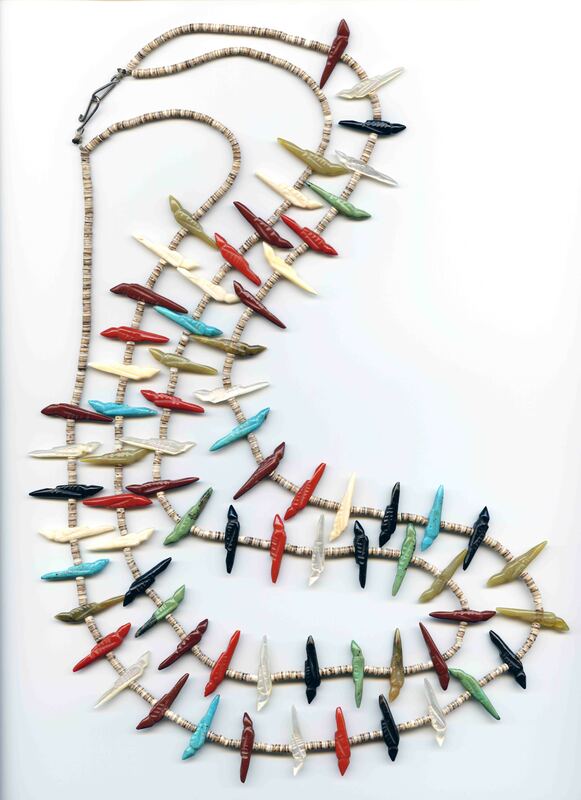 The 2-strand necklace is 30 inches long (without the clasp) and contains 72 carved birds that are each one-inch long. The stones used for the bird carvings are several different colors. Due to possible color variations within one stone type, I am not sure if there are 5, 6, or 7 colors included. The spacers between the birds appear to be shell.I have searched online, and this doesn’t look like cheap fakes from other countries. However, the clasp looks a little different than I would expect based on other Native American necklaces. And some of the birds are upside down. Thanks for asking to see photos of the necklace. I paid $90 for it and am trying to find out if is Native American made. Thanks for your time. I know you get a lot of requests, and I enjoy looking through your website. It is a very pretty necklace in very good condition. The photos are great. The hand made clasp seems like a very familiar style I have seen on vintage necklaces or contemporary hand made necklaces. The shell heishi is done very nicely. The birds and the stones used for the birds, I’m not so sure about. The birds look so very similar to each other as to almost appear to be production made. And some of the stones I can’t identify. 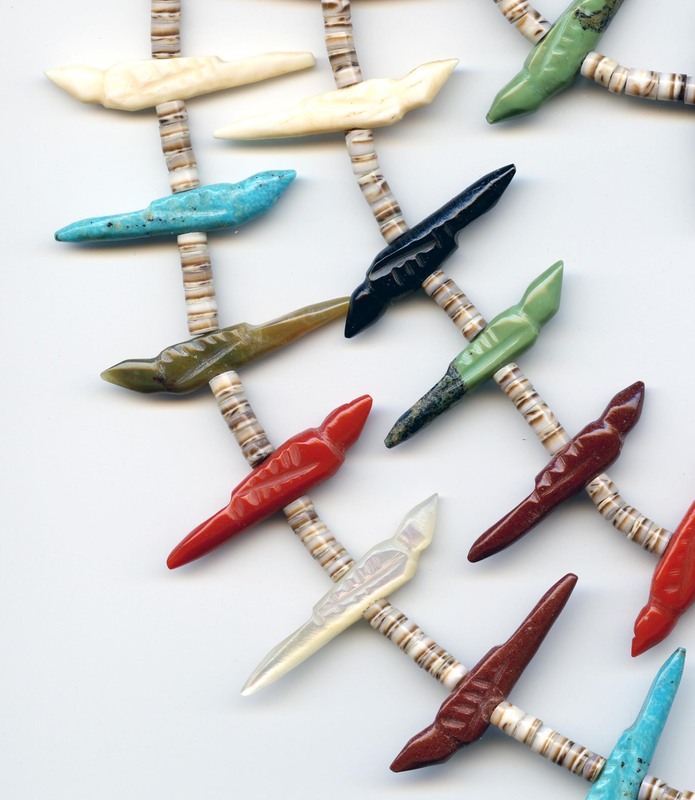 For example, the red birds do not appear to be made of coral or orange spiny oyster, two typically used materials in Native American made fetish necklaces. As far as whether this is Native American carved, my gut feeling is no. It could be Native strung from components that could have been made in the US or other places such as the Philippines. This entry was posted in Authenticity, Fetish Necklaces and tagged bird necklace, fetish necklace, native american by Native American Jewelry Tips. Bookmark the permalink.